The world-renowned general Julius Caesar may have been rather less heroic than we imagine, in terms of victories as well as physique. Caesar was largely bald and had a deformed skull, resulting from difficulties during his birth. As for military campaigns, he suffered his greatest defeat in the Low Countries, possibly near the Dutch city of Maastricht, according to new research suggesting that he fought a substantial proportion of the Gallic Wars in the northern part of Gaul. 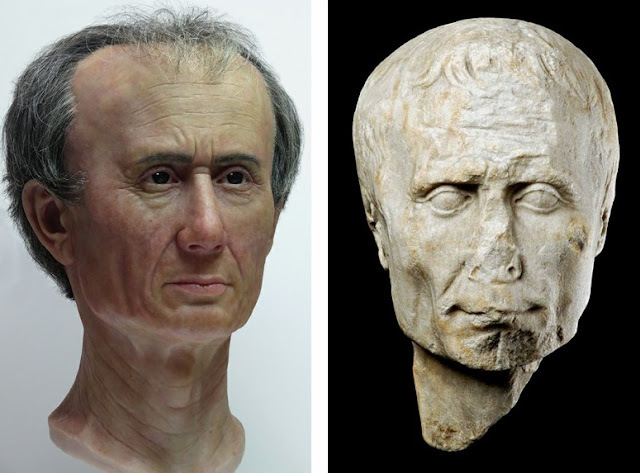 These findings emerged from the research conducted by the archaeologist and author Tom Buijtendorp on Caesar’s activities in the Low Countries, in response to the mounting pile of clues for his presence here. Buijtendorp’s research was recently published in the book Caesar in de Lage Landen (Caesar in the Low Countries). His findings about Caesar’s countenance in combination with one of the oldest portraits of Caesar from the collection of the Dutch national museum of antiquities (the Rijksmuseum van Oudheden in Leiden), were the basis for an alternative ’new’ face. 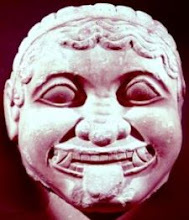 The reconstruction of this face is currently on show in the museum. 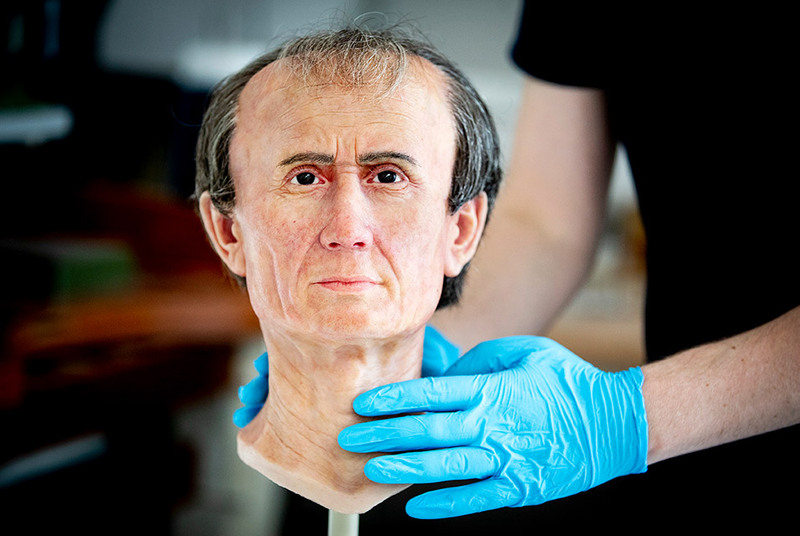 Subsequently archaeologist and physical anthropologist Maja d’Hollosy was asked to make an alternative, more lifelike ‘Caesar of the Low Countries’, so to speak, based on one of the Caesar portraits from the collection in Leiden. Sources as the Tusculum bust and the coin portrait were used to add the missing features. Furthermore Buijtendorp’s research gave instructions about skin and eye colour, and hair. The result is a mix between the three sources, with the museum bust as base. Since a 100 percent reliable sources were lacking, a major aim was to make Caesar more alive, not creating the ultimate Ceasar bust. According to Buijtendorp, this reconstruction of Caesar’s portrait reminds us that the traditional image of Caesar is unrealistic, but also shows the remaining uncertainties about details like the eyes: ‘Though the new version likewise does not represent an absolute truth, it does provide a more credible alternative to the existing picture, rejecting the symmetric head of hair image we got used to’. Buijtendorp’s research for his book Caesar in de Lage Landen (Caesar in the Low Countries) was based in part on recently-excavated Caesarian camps, an analysis of indigenous gold coins, geographical analyses, and a renewed assessment of Caesar’s own statistics. The findings for example suggests that a hilltop stronghold near Maastricht may have served in 54 and 53 BC as the camp and logistics centre of Caesar’s army, site of his largest loss. This is indicated, for instance, by a detailed analysis of gold coins and the camp’s size, which was recently established. Caesars description of the battle site fits quite well with the environment. In addition, the site becomes a logical choice when looking at the reconstruction of Caesars northern campaign. And new insights in the possible location of other camps, also provide a possible match. Like in more cases, this new perspective generates a working hypothesis that may help to actually discovery archaeological remains and protect sites. The recently recognized unique shape of the hobnails in the boots of Caesar’s soldiers, since 2010 enabled researchers to link three northern camps to Caesar. 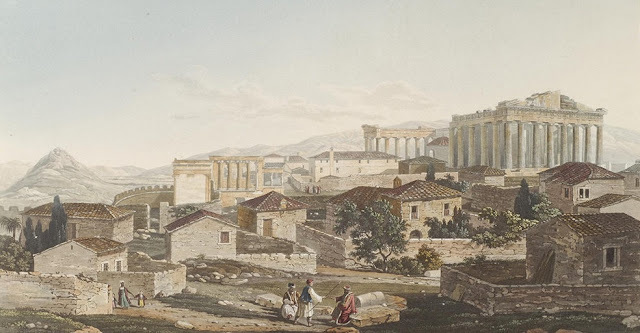 New discoveries may follow, for which the book – which is written in the manner of a travel guide – identifies several possible sites. This remains challenging for marching camps. A large excavation at Limburg-Eschhofen only revealed three hobnails, while at Hermeskeil a gate probably used for several months was a special hobnail find spot. Mauchamp with clear old traces of Caesars’ large camp, did not provide related finds lacking sizeable modern excavations.